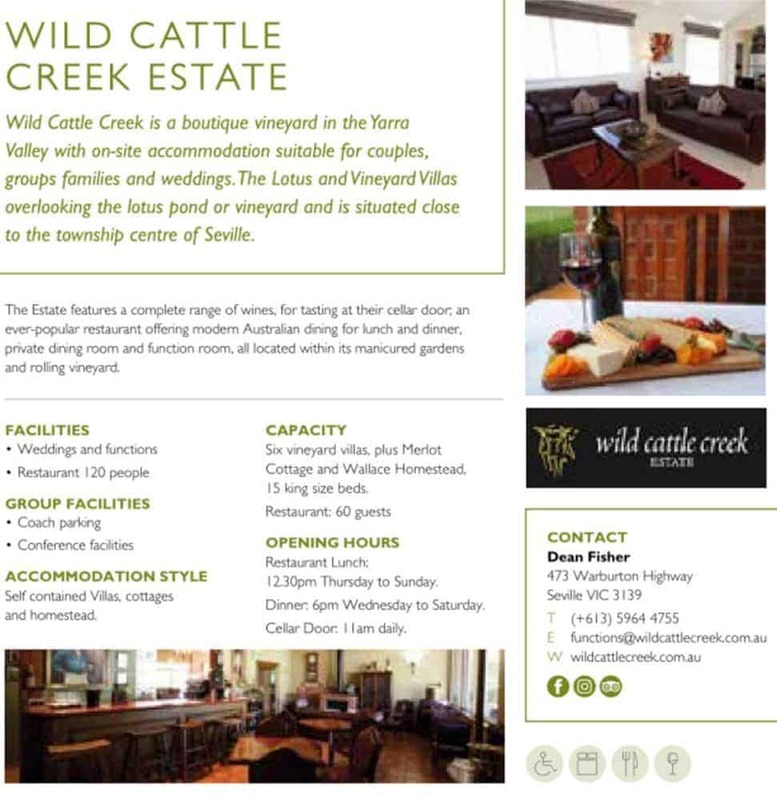 Wild Cattle Creek Estate is one of the Yarra Valley’s newly established cellar doors. With its excellent garden setting boasting a peaceful atmosphere and an award-winning restaurant, Wild Cattle Creek Estate offers you a perfect venue to tour, taste wines and dine whilst in the Yarra Valley. The vineyard has a lush lawn area and a terrace in addition to its indoor dining facility. Choose any of these venues and enjoy dining in style with friends or family. Stop by the cellar door and taste their wide range of hand-crafted, premium wines. Sit by the fire in the winter and warm up with a beautiful glass of red, or head outdoors in summer and sip on a cool, crisp white. At Wild Cattle Creek Estate’s restaurant, enjoy an elegant and relaxing dinner with your loved ones. Whether you are here for a romantic dinner, a family lunch or a business meeting, you will have a memorable experience. The menu features a range of seasonal produce including calamari, lamb, steak, salmon as well as pastas, salads and desserts. With a capacity to accommodate up to 150 guests, Wild Cattle Creek is also ideal for a wedding or engagement ceremony, business conferences or any sort of formal event. There are a range of all inclusive packages available which can be customised to your requirements. For all your accommodation needs, book a stay at Wattle Creek Estate Wild which offers luxury accommodation with views over the vineyard or pond. 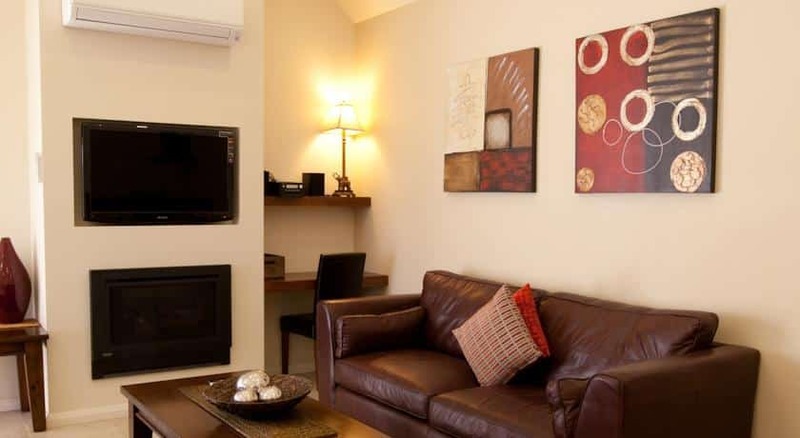 All cottages are self-contained and are equipped with a kitchen, lounge and free Wi-Fi. 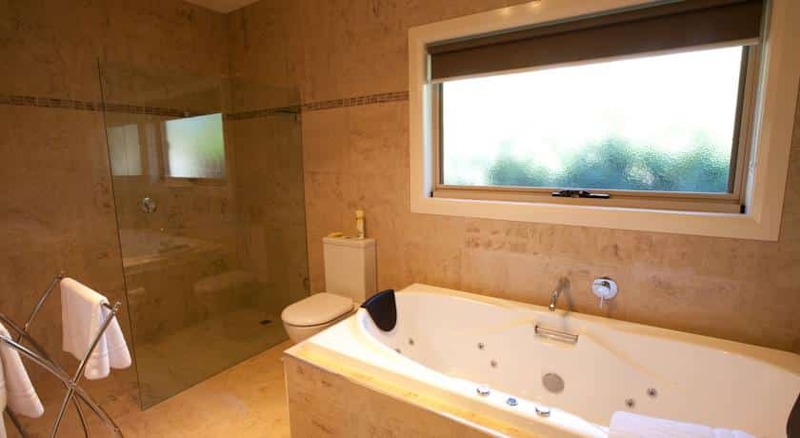 Some cottages are also equipped with a spa bath and gas log fireplace. Breakfast is provided each day. 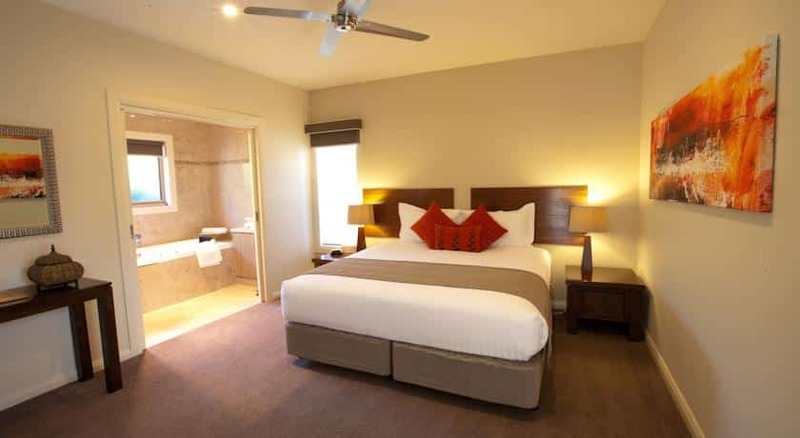 Click on the link below to book your accommodation at Wattle Creek Estate today.